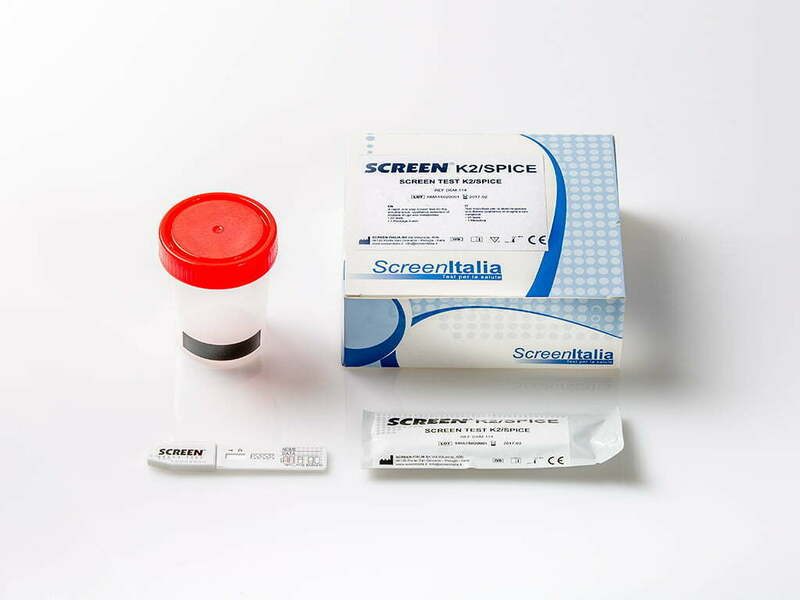 The Screen Drug Test K2/Spice Test is an immunochromatography-based one step in vitro test. It is designed for qualitative determination of synthetic cannabis JWH-018 and JWH-073’s major metabolites in human urine specimens at cut-off level of 50 ng/ml. In addition, other synthetic cannabis compound metabolities can be detected, MAM2201 (100ng/ml); JWH-0398 (200ng/mL); and JWH-210 (300ng/mL). This assay provides only a preliminary analytical test result. A more specif c alternative chemical method must be used in order to obtain a conf rmed analytical result. Gas chromatography/mass spectrometry (GC/MS) has been established as the preferred conf rmatory method by the Substance Abuse Mental Health Services Administration (SAMHSA). Clinical consideration and professional judgment should be applied to any drug of abus.